Program HOL and SCH lable can use “Insert” key to show or edit the value . Auto update the file “Update.exe” . Fix the bugs ,download the old version of T3000 software. 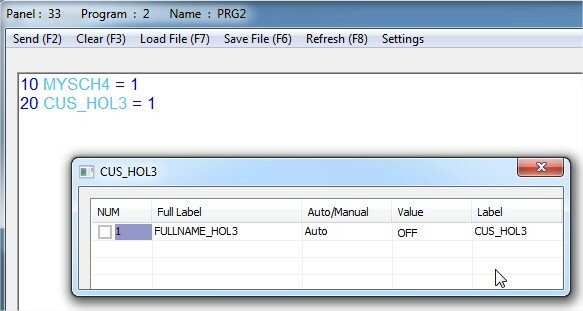 Fix the feature “load” “save” prg file . when the program file is lager than 1600 bytes ,it cause decode error . Fix the Old T3 panel which program size is only 10000Bytes ， don’t allowed user coding more than 10000BYTES. Thanks for your continued improvement of the T3000 software. Can you provide more info about change #1 in this post? How does the “Insert” window pop up? What’s an example of how it would be used? 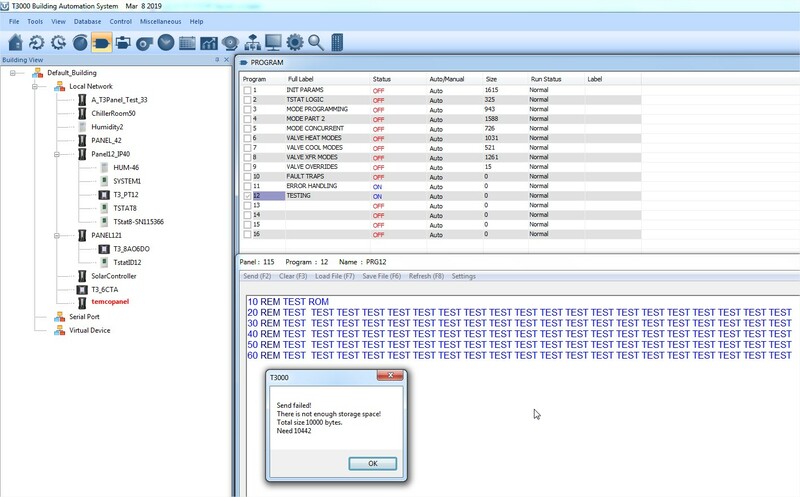 Select the keyword or move the cursor to the label, then click the Hotkey “Insert” , T3000 will find out which label it is , If it is a input label ,It will popup a debug window .Also Output ,variable , PID ,SCH,HOL. For more details ,you can reference the user mannual.